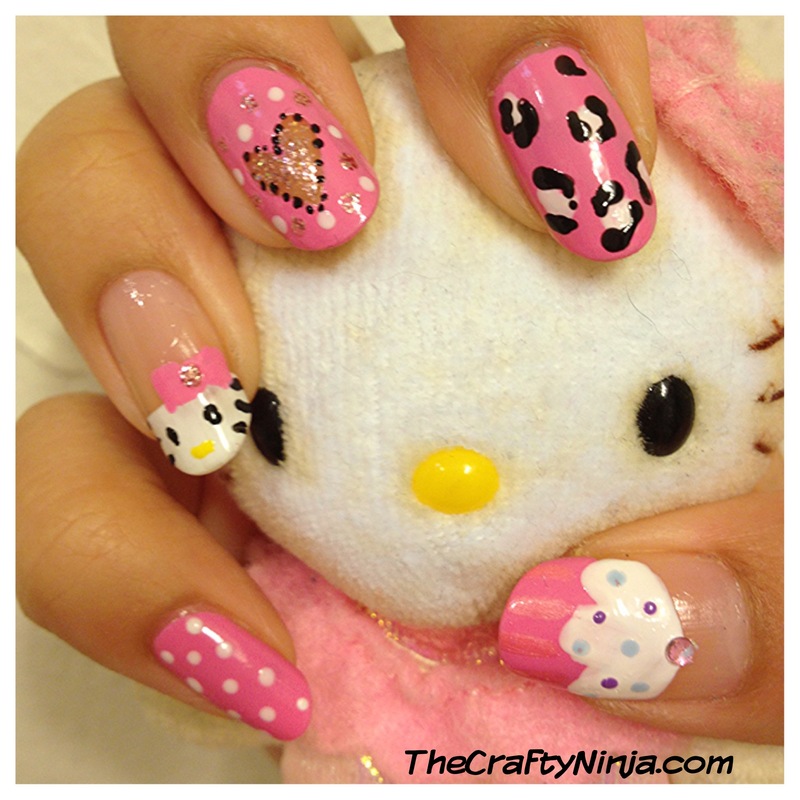 Today’s Nail art was inspired by my hello kitty mini doll. I combined different nail tutorials I have created to design my very girly and sweet kawaii nails. 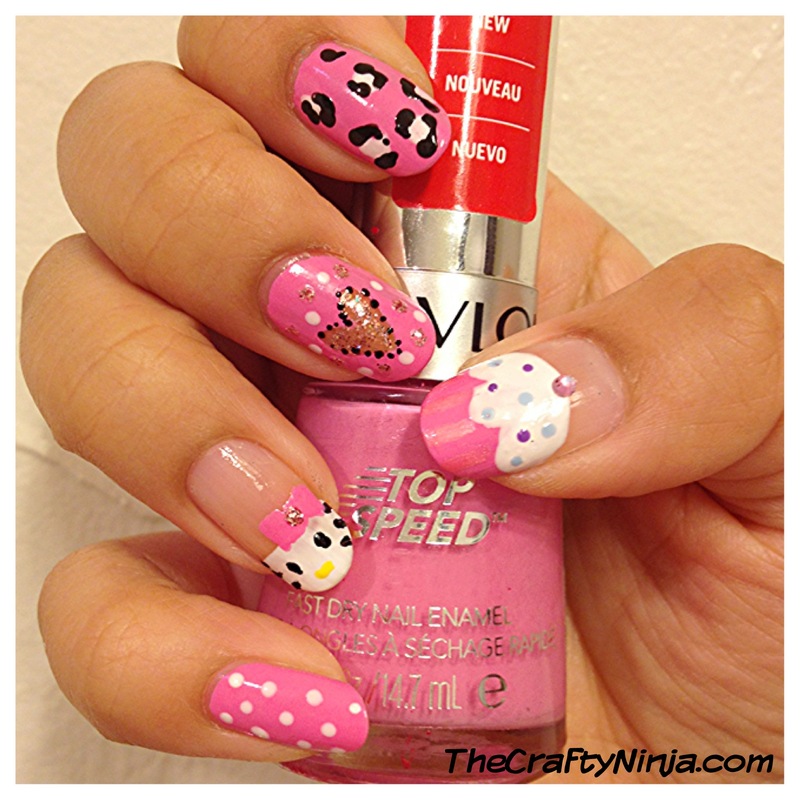 Here are the steps to create these yummy cupcake nails: 1. Apply clear base coat. Paint the tip of your nails, I used Revlon- Cupid. 2. With white polish apply a slightly curved line, this will be the frosting. 3. Apply a line in the middle for the edge. 4. Paint straight lines on the base, cupcake liner. 5. Add dots using a Nail Dotting Tool. 6. Finish off with a Rhinestone for the topper. Apply topcoat. Here is another look at my Hello Kitty Cupcake Nails with the perfect pink nail polish Revlon’s Cupid. 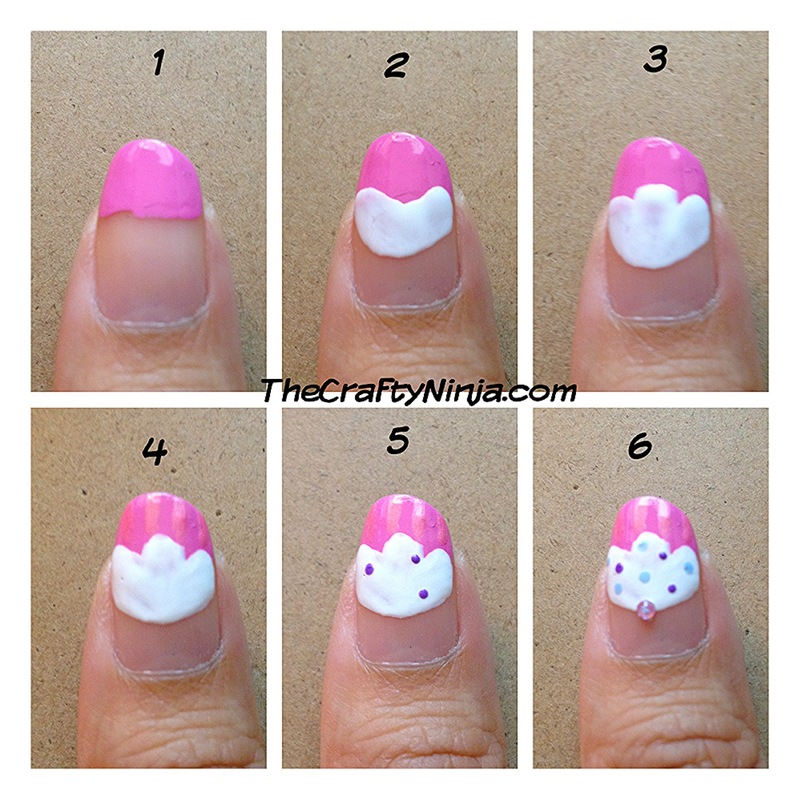 Check out my Hello Kitty Nail tutorial here. Cutout Heart Nail tutorial here. Leopard Nail tutorial here.